OD Cotton M-1 Rifle Sling. As used on the M-14 and M-16 rifles. 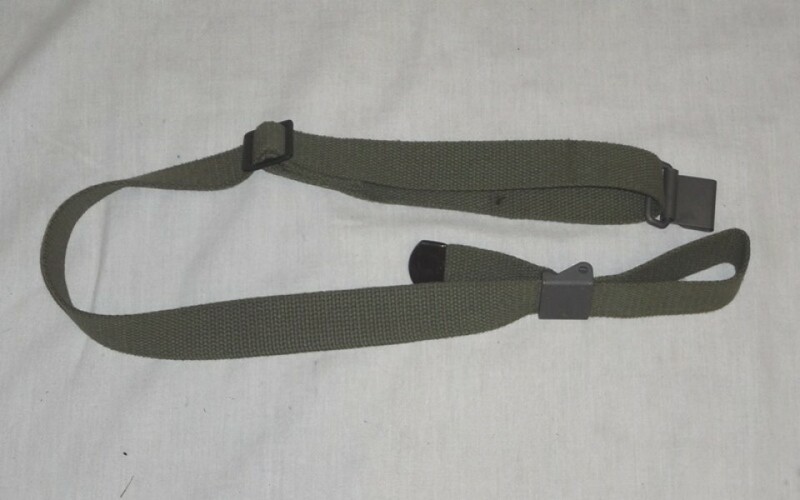 New Hardware and Mil-Spec 1 1/4" webbing. OD Green cotton.